Kelty believes in creature comforts, even in the backcountry. That's why the All Inn, their premier backpacking tent, is designed to give you the best of both worlds. 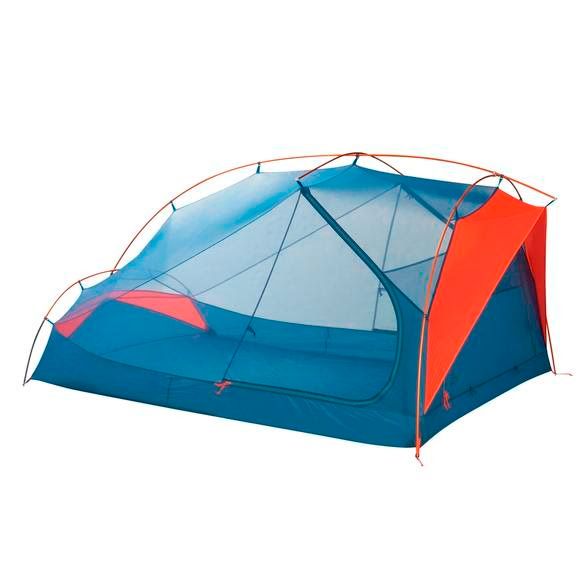 Featuring durable, yet lightweight Sil-Nylon fabric and innovative architecture (including unrivaled ventilation and vertical walls) it's spacious enough that it feels like an actual hotel room. Kelty believes in creature comforts, even in the backcountry. That&apos;s why the All Inn, their premier backpacking tent, is designed to give you the best of both worlds. Featuring durable, yet lightweight Sil-Nylon fabric and innovative architecture (including unrivaled ventilation and vertical walls) it&apos;s spacious enough that it feels like an actual hotel room. So while your "ounce OCD" buddy is army-crawling into his ultra-light abode, YOU could be spread-eagled in your spacious All Inn. Stuffed Size 18" x 6.5" x 6.5"